The work we do to save wild animals, whether in America or the farthest reaches of the world, is challenging, even under the best of conditions. We have to fight the trophy hunters, the commercial traders, the trappers, the exploiters, the most nefarious, self-interested people on the planet willing to sacrifice the last eagle or elephant to make a buck. But there are those rare occasions when nature takes over, and the fight is against a force unseen, thousands and thousands of miles away, presenting a challenge of Sisyphean proportions. 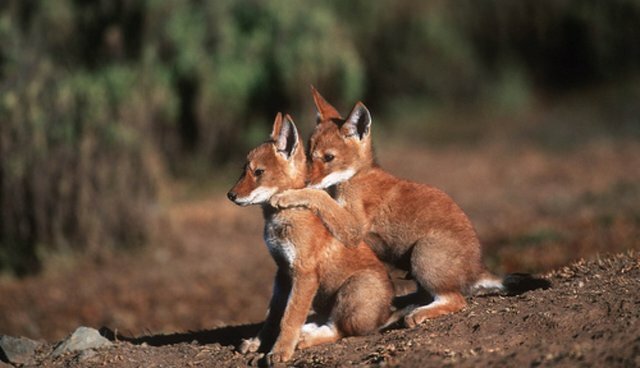 For many years, Born Free has fought to save the Ethiopian wolf, clinging to life in the Afroalpine mountains of Ethiopia. Fewer than 500 remain, the rarest canid on the planet. They are living in inhospitable conditions, to say the least. Livestock owners with domestic dogs live in the same area. And these dogs get rabies. And the rabies is passed to the wolves. And the wolves are at risk. Born Free, focused and nimble and committed to act, supported an Emergency Response team after not one, not two, not three, but seven wolves were found dead, ravaged by rabies. We mobilized against this wicked, deadly enemy. Last Wednesday, we left our camp in the Web Valley (3,500 m above sea level) and headed back to our base in Dinsho, a small town in the Northern slopes of the Bale Mountains National Park, where most of our staff lives. We managed to wrap up the second phase of our emergency intervention just in time for the Ethiopian New Year, being celebrated tonight. The team took a few days of a well-deserved rest with their families before heading back to monitor the situation, implement awareness campaigns to contain the current rabies epizootic, and step up dog vaccinations. Every crisis has a silver lining. I recently met with wildlife authorities in Addis Ababa, who congratulated Born Free and my team for our immediate and decisive intervention. There is a general feeling that we can no longer combat rabies outbreaks as bush fires, but that we need to embark on a proactive strategy to manage this risk in the future. We have a clear opportunity to instil this change in the authorities' mindset. Thanks in part to your donation, we now have the necessary resources to complete the current intervention, but also to pay for a small technical meeting to review the situation and put together a long term plan. One of the reasons why I am extremely proud to work for Born Free is that we can react where conditions are dire and where it is required most, and that we have the ability to succeed in our mission. My friend and colleague, Claudio, whom I trust and admire, braved winds and torrential rains at 13,500 feet to vaccinate wolves and dogs alike. I am filled with pride and admiration. Thanks to him and to his team, the wolves have a fighting chance!